While studies have shown that Head Start programs are beneficial to low-income children and their families across the board, there is a particular group that benefit from it more than others. Children who come from families where there is very little academic stimulation, with parents who do not read to children or provide very little encouragement with letter and number recognition or word pronunciation, really need programs like Head Start so they can get a good start when it comes time to go to school. Head Start programs have been proven time and again through actual participant studies to help under-privileged children get on equal footing with other children who have benefited from supportive parents and participation in private preschools and educational programs. What Do Head Start Programs Do? 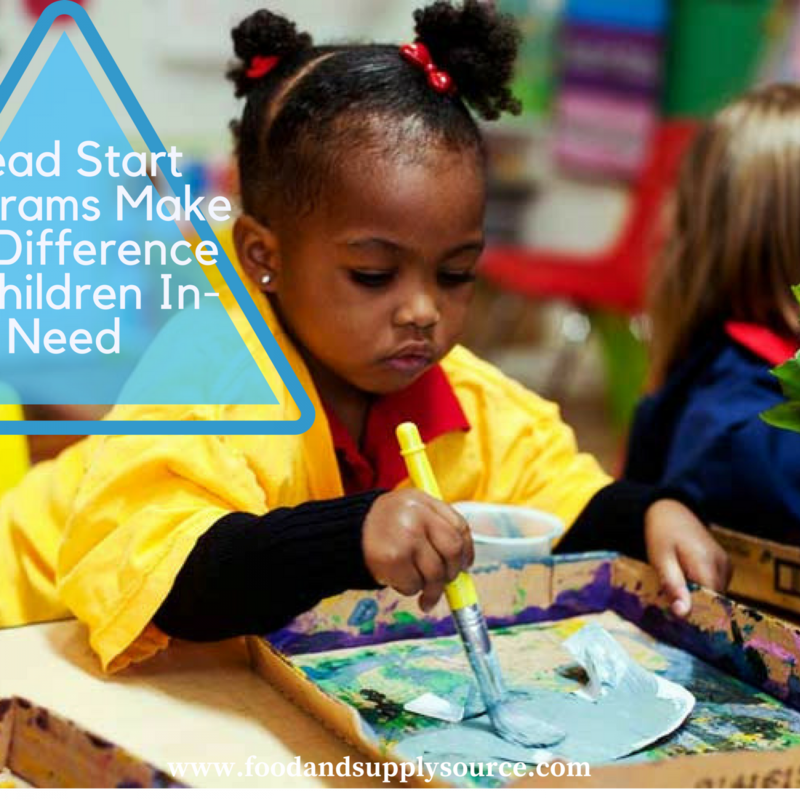 For those who aren’t familiar with what they are or what they do, Head Start programs are federally-funded programs that provide free, public-supported programs to over a million children in the United States each year. In addition to giving children a solid opportunity to learn basic preschool level education that they can use to their advantage when they reach kindergarten, Head Start programs also provide nutritional and health care support for low-income children and their families. What this program also provides is the opportunity for these children to interact with other children their own age, gain access to daily nutrition and exposure to healthy habits that they will carry with them for the rest of their lives. Studies have shown that children who participate in Head Start programs often benefit in areas of math and literacy whether parents follow-up with educational support and encouragement at home or not. Basic efforts, such as helping children pronounce letters properly at home, can help children to succeed even more. Why Is There So Much Debate on the Success of Head Start Programs? Because the Head Start programs are funded by the public through taxpayer dollars, there is always an ongoing debate about whether or not the program really works. This was especially an issue in recent years when the Head Start budgets were decreased by the federal budget and when Head Start programs, along with other early education programs, were not funded during the sequestration as a result of budgeting issues. Many Head Start programs were forced to cut back on staff, reduce available positions for participating children and, in some cases, had to close their doors. Unfortunately, opponents of Head Start programs will frequently demand new studies to be conducted despite the long term effect studies that have already been conducted since the 1970s that show the benefits and advantages to low-income children who participated in the program. In fact, a 2010 study that was conducted by the Department of Health and Human Services as directed by Congress found that the effects of Head Start programs can diminish by Grade 3 and dubbed the findings as the “fade out” effect. Unfortunately this study is used to try and end the program or cut its budget while ignoring the results of dozens of other studies that were conducted throughout the history of Head Start programs. Because Head Start programs are at the mercy of the federal government, budget cuts, sequestration and other situations that can cause funds to be reduced or eliminated in some situations, it is important for administrators to find ways to reduce administrative costs. By cutting your office supply budget or janitorial supply budget, along with making sweeping changes to reduce food costs and improve nutritional menus for participants, Head Start administrators are able to cut their annual budget for these expenses by as much as 10-35 percent. This can be accomplished through participation in the FREE program for non-profit human service organizations known as SupplySource Plus and its sister organization, FoodSource Plus. Participation begins with a complete audit and analysis of your current spending and purchasing habits by SupplySource Plus to find out where money can be saved. The goal to reduce administrative costs can be achieved by making simple adjustments to your office supply budget to make smarter purchases and to your janitorial supply budget to purchase certain items in bulk that are needed throughout the year, including paper supplies. To get started, contact SupplySource Plus through our website contact form or by calling our office direct. Our team will meet with you to discuss changes that can be made to help reduce administrative costs and costs associated with your meal and nutrition programs as well. It is FREE to participate so it won’t cost you a thing. Take advantage of the opportunities available through SupplySource Plus that will give you the buying power of a large corporation for your local Head Start programs.